Breaking news and analysis on domestic issues from Al Jazeera America and around the Web. 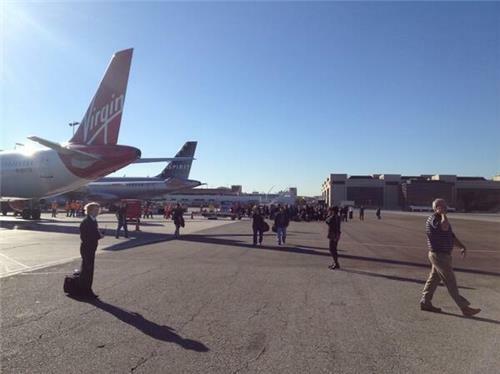 I was at the Virgin terminal at LAX when gunfire broke out. Many of us have run on the tarmac. I don't know what's happening but I'm fine. When gunfire broke out there was a stampede people, all of us hiding under seats we didn't fit under, we burst through the door to outside. 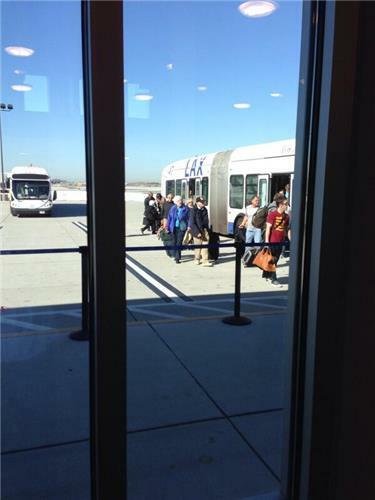 An LAX employee just told me there was a shooting at the airport in the terminal. I asked if t/shooter was down he said he couldn't tell me. 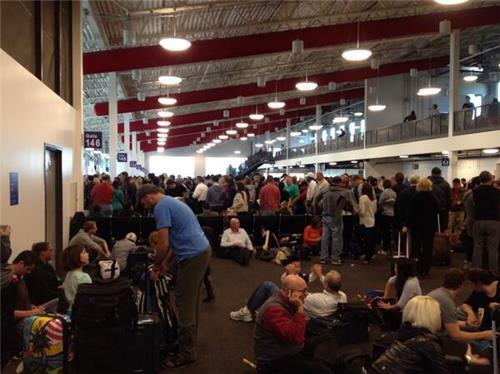 Federal officials tell Al Jazeera the the incident at LAX has ended. The incident took place at LAX's Terminal 3. The airlines that operate out of this terminal are: Allegiant Air, Frontier, JetBlue, Spirit, Virgin America and Virgin Australia. 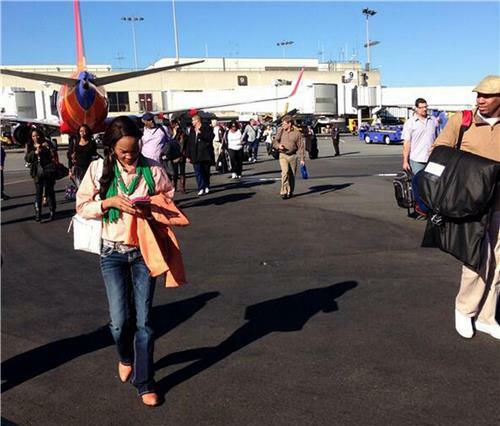 An LAX spokeswoman tells Reuters that all outgoing flights have been halted over incident. Local media reports three people have been injured. Al Jazeera cannot independently confirm these reports. Other than arriving flights, flight operations have been temporarily held. 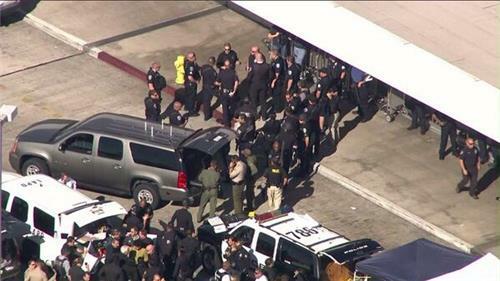 Law enforcement authorities have a suspect in today's shooting at LAX in custody. There are reports of 'multiple victims' in today's incident. There will be a press conference at 11:30am PT/2:30pm ET with further updates. A police spokeswoman has told Reuters the suspect is in custody and is believed to be the only suspect. UPDATE: all exits to @LAX_Official from the 105 and 405 freeways are now closed or in the process of closing. Avoid area. 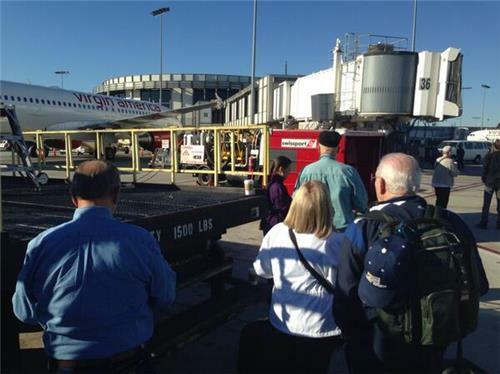 Earlier this morning, a shooting occurred at Terminal 3 at Los Angeles International Airport. 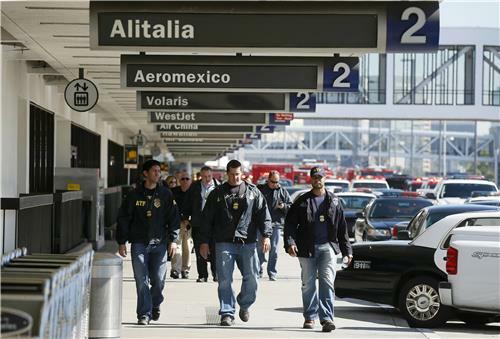 Multiple Transportation Security Officers (TSOs) were shot, one fatally. Additional details will be addressed by the FBI and local law enforcement who are investigating the shooting. Law enforcement officials have identified the suspect in Friday's LAX shooting incident as 23-year-old Paul Ciancia, the Associated Press reports. As soon as terminals 1, 2, 3 are “cleared” by law enforcement, flights will be allowed to depart LAX. As soon as terminals 1, 2, 3 are "cleared" by law enforcement, flights will be allowed to depart LAX. In a media conference call, TSA union leader J. David Cox Sr. confirms three officers were also wounded, along with the previously confirmed death. 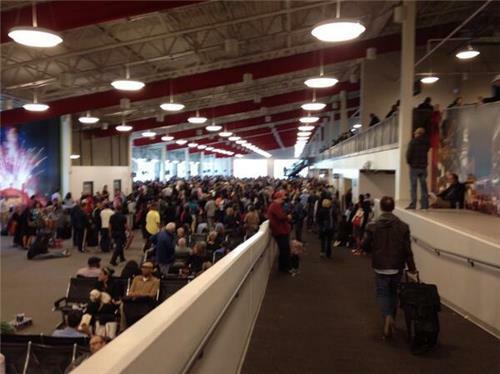 Police and paramedics surrounded a terminal at Los Angeles International Airport on Friday in response to a shooting. 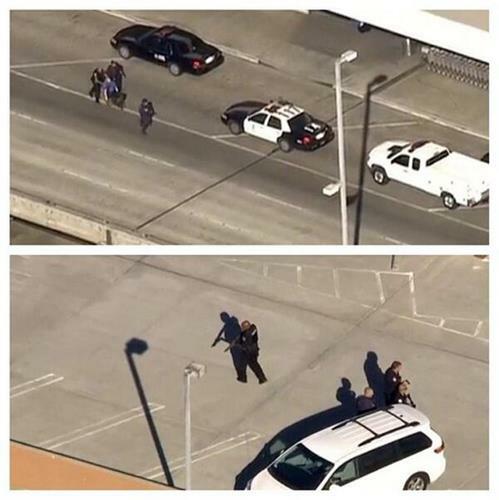 LAX Police Chief Patrick Gannon said that one gunman entered Terminal 3 at 9:20 a.m. PDT (12:20 p.m. EDT), took out a gun and proceeded to the passenger screening area where he opened fire. "Multiple Transportation Security Officers (TSOs) were shot, one fatally," Transportation Security Agency confirmed in a statement. LA County Coroner confirmed to Al Jazeera that a 40-year-old male was killed. He was pronounced dead at the Harbor-UCLA Medical Center. Gannon said that the police now have the suspect in custody. "An individual came into Terminal 3 of this airport, pulled an assault rifle out of a bag and began to open fire in the terminal," Gannon said. The Associated Press cited law enforcement officials as identifying the suspect as 23-year old Paul Ciancia. A law enforcement official, who was briefed at LAX on the investigation, said the gunman was wearing fatigues and carrying a bag containing a hand-written note that said he "wanted to kill TSA and pigs." The official requested anonymity because he was not authorized to speak publicly.